The Caribbean Vocational Qualification (CVQ) was officially launched in Grenada today Thursday 29 August 2013. 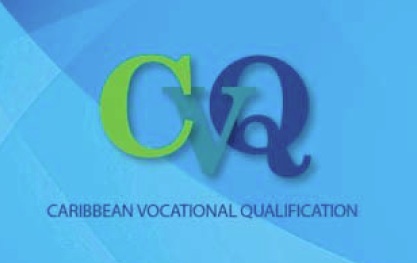 Grenada received approval to grant Caribbean Vocational Qualifications (CVQs) on Friday 24 May 2013 at the 24th Council for Human and Social Development (COHSOD) Meeting in Georgetown, Guyana. Grenada’s application for CVQ awarding status was first approved by the Caribbean Association of National Training Agencies (CANTA) and the Regional Coordination Mechanism for Technical and Vocational Education and Training (RCM-TVET) before receiving final approval at the COHSOD meeting. Caribbean Vocational Qualifications (CVQs) is a part of the process towards achieving the free movement of certified skilled workers under the Caribbean Single Market and Economy (CSME). It represents the achievement of a set of competencies which define core work practices of an occupational area. To earn an award, candidates must demonstrate competence in reaching CARICOM-approved occupational standards developed by industry experts and employers in a range from level one to five. Grenada, has in effect been granted approval to award the Caribbean Vocational Qualification to persons who will pursue Technical and Vocational Education and Training programmes, in and out of school.The awarding of CVQ granting status to Grenada will also mean that skilled and certified workers will be able to seek available employment opportunities in any other CARICOM states where there are available jobs with less difficulty.